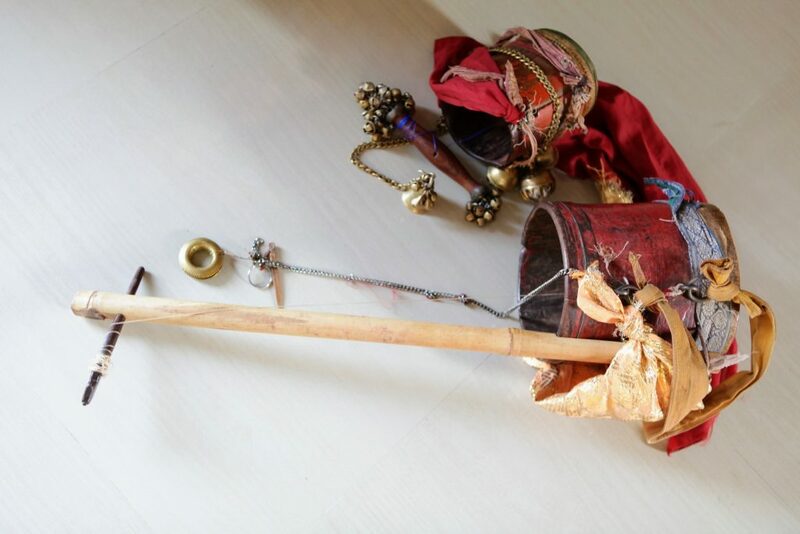 Urban Folk Project (UFP) is an initiative to archive Folk art forms in Karnataka. We want to use elements of these forms to build bodies of works that engage an urban audience with folk art practices. UFP has a vision to bring forgotten, in the process of being forgotten, rare and known but different forms to urban spaces and to contemporary artists. We imagine that this space we are beginning to create will be used by artists across the globe and become a source for new work as well as a way to show what once was. While preserving traditional folk forms is important, it is also important to remember that the folk is always contemporary. 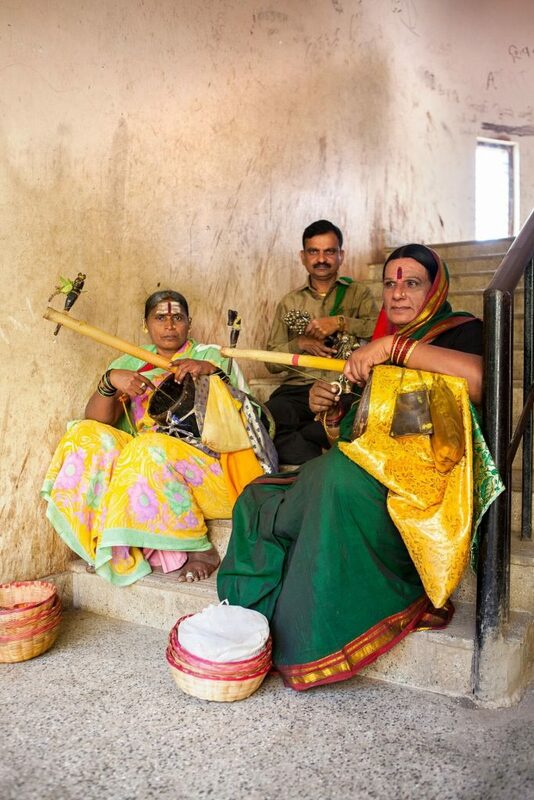 This initiative began as a means to bring lesser known folk forms and artists to the fore. But more than that it will show songs and words of artists who are no longer in the popular imaginary. There have been many cases of musical forms and performance being appropriated by contemporary artists and also many cases of certain forms becoming preserved by their own communities because of promotion and display of their work in different spaces. This initiative is perhaps a simpler way to ensure that people hear and see such work. Our belief system is anchored around a collaboration and the creative commons. We feel that the way to create art is to use what we know and explore the connections that can be made by making the folk and so called contemporary collide. In this light, Karnataka offers up a rich tapestry of knowledge, which we hope to archive and showcase in a way that respects the form and its practitioners. We have been fortunate to meet inspiring and experienced practitioners across Karnataka. We hope to make it up to our past and future mentors by making folk a part of the contemporary. How can we, as aware and educated public help establish a stronger connection with the older and alien? What happens when the lines are blurred between familiar and older, gender and nature, etc? These are some key questions that anchor our work. Manipal University, in Karnataka, India. Her PhD project locates the past 40 years of curating and resistance in art practice in South India, focusing on collectives in Bangalore, Karnataka and the Students’Biennale at Kochi, Kerala. Sumitra also co-curated the Neralu festival in Bangalore in 2014, dedicated to the trees of Bangalore and a reflection on the ecology of the city. Beyond curating shows, she has beenco-developing plays for local theatre collectives. Sumitra also works as a consultant for art and culture organizations. Adithya Kothakota is currently managing the operations of Urban Folk Project. He is an accounting professional and has worked with one of the Big 4 accounting firms. He also briefly worked for a technology start-up as a project manager. He completed his CPA from CPA Australia and Masters in Accounting from Macquarie University, Sydney. As a couple, Adithya and Shilpa have shared their passion for travel and the arts. In May 2017, they made their first trip around Karnataka to locate and document Folk forms of those regions. The uniqueness of this project has drawn him to join and assist with the administrative and organizational aspects of Urban Folk Project. 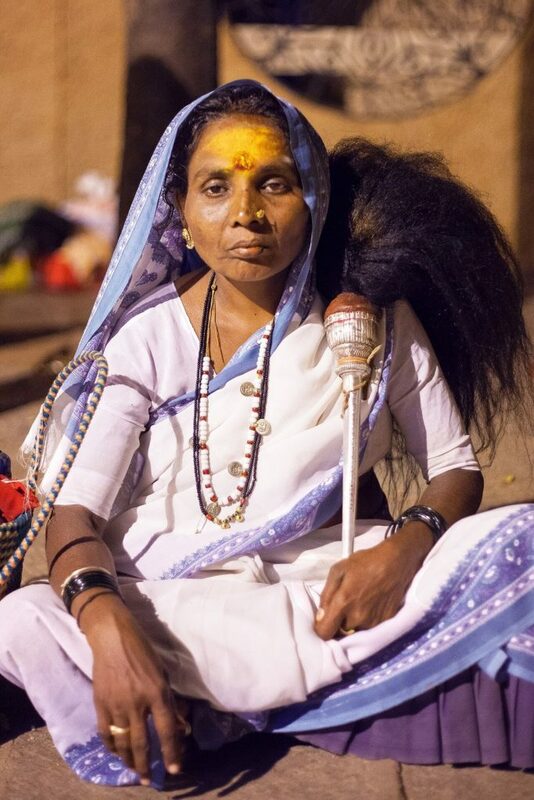 Yellammanaata is a ritualistic overnight play hosted mostly during festivals by lower caste Hindus around most parts of Hyderabad, Karnataka and the Southern Maharashtra. It is the story of how Parashurama’s mother Renuka, a Kshatriya woman, comes to be known as the Goddess Yellamma – a powerful deity of the lower caste Hindu, Devadasi and Jogathi communities. 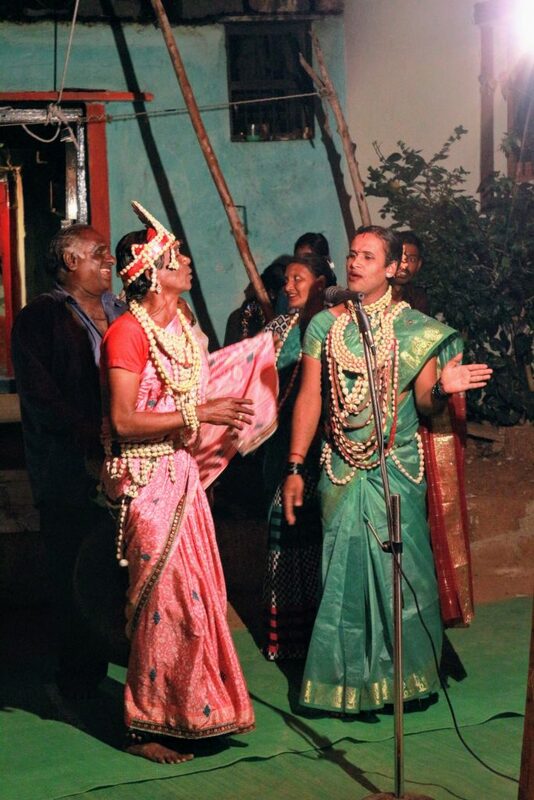 The play is performed mainly by Jogathis who are the transgender disciples of Saundatti Yellamma. It is an unwritten rule in the ritual performance, that the role of Yellamma, if not all characters has to be enacted by a Jogathi. The plot of the story varies between regions and sub-castes. 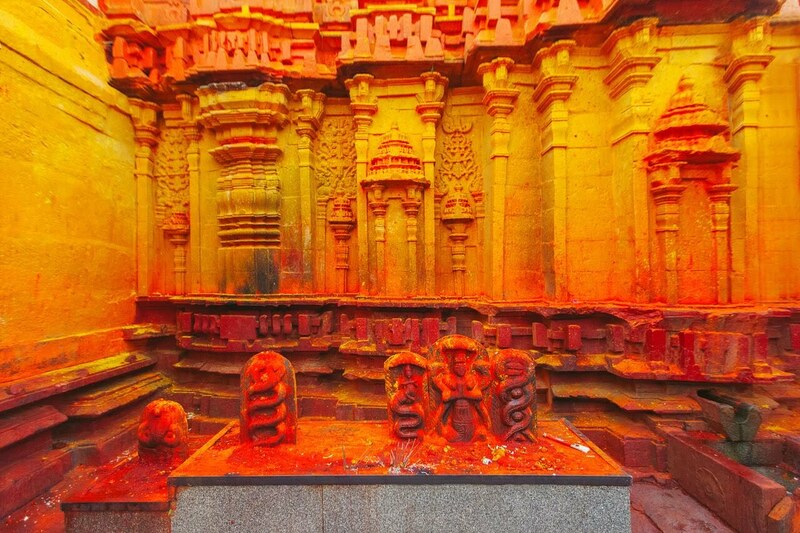 The myth is believed to have originated from Yellammana Gudda, outside Saundatti located in Belgaum district, Karnataka. The goddess we come to know as Yellamma, was a princess called Renuka, the wife of Jamadagni – a powerful, ill-tempered sage. One day he falsely accuses his devout wife of adultery, and curses her with a skin disease and banishes her to the forest. Exiled, Renuka builds a temple to the god Shiva and begs for alms in the neighbouring villages. She spends years this way, praying for a cure. When Shiva finally appears before her, he not only cures her but also grants her a wish. Renuka asks for a son, even after the warning that this child would end her life Renuka gives birth to Parashurama, who brings joy and a sense of purpose to her life. 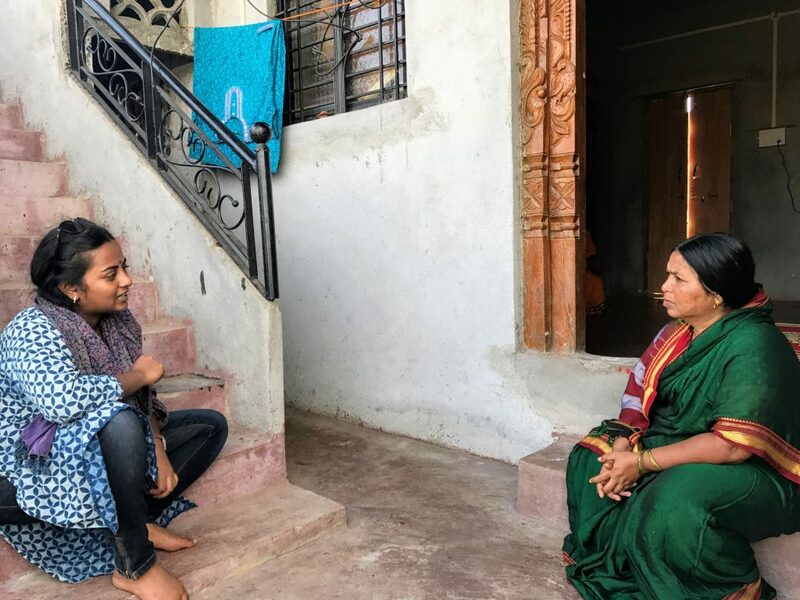 However, as he gets older he begins questioning her about his father’s identity and grows increasingly agitated over the years with Renuka’s excuses about his father’s whereabouts. Renuka is forced to reveal her past and the reason behind his divine birth. Parashurama then seeks out his father Jamadagni, who is still embittered over Renuka’s supposed adultery. Ill-tempered and irrational Jamadagni, who is also known to be possessed with a Krodha Devathe (Goddess of Anger), asks Parushurama to behead his mother. Young Parashurama obeys his father’s orders. One of the other gifts that Renuka receives due to her devout worship of Shiva, was the boon of immortality. This was in the form of a Kalasha (sacred pot) that rested within her chest. Every time Parashurama behead his mother, a new head would emerge. Several heads were severed before Parashurama is informed by Jamadagni about the Kalasha in her chest. Parashurama completes the task of killing his mother by extracting the Kalasha. Jamadagni is pleased with Parashurama and willingly accepts him as his son. Overcome by the guilt of killing his own mother, who he loved and respected dearly, Parashurama requests his father to resurrect her. When his request is denied, he threatens to kill Jamadagni if Renuka is not brought back to life. Jamadagni helps his son bring Renuka back to life. Renuka rises from the dead and becomes the all powerful Yellamma. As legend has it, when Yellamma’s spirit consumed Renuka’s body, she orders Parashurama to disperse her severed heads as incarnations of Yellamma. These incarnations are known to us today in the form of hundreds of goddesses such as Huligyamma, Kaallamma, Durgamma, Maragamma, Mariamma to name a few. She then leaves both son and husband to their plight and descends on Saundatti where she spends her remaining days on earth. 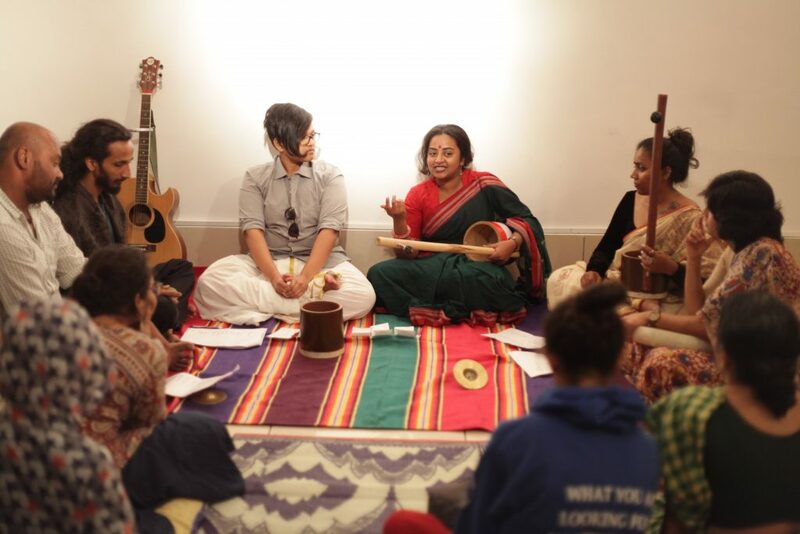 The play is the brainchild of Shilpa, the founder member of the Urban Folk Project. She has been seeing the ritual performance since she was a young girl. This performance is around six hours long, and were comical, informal, intimate and melodramatic presentations of Yellamma’s story told through a series of songs and improvised scenes. The play is usually hosted as an auspicious follow up ritual at naming ceremonies, house warming and festivals (mainly Dussera, Deepavali and Nagara Panchami). The idea of bringing the story of yellamma to an urban audience evolved during the production of a play called the Land of Ashes and Diamonds. This was a production with Koumarane Valavane (Artistic Director of Indianostrum). It was at this point that Shilpa truly revisited Yellamma. Koumarane’s play depicted the stories of war victims; from the ruins of post-war Europe to the remote villages of India and the war-torn shores of Sri Lanka. Yellamma as a character was introduced into the play as an abstract metaphor. She was interpreted as the mother of all victims in the context of war. 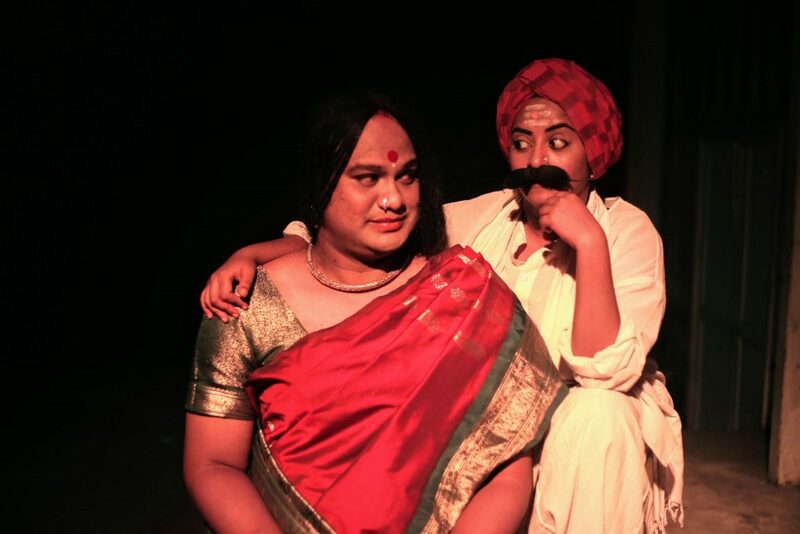 The central plot of the play showcased a mock Yellammanaata enacted by two folk artists – Dasappa played by Shilpa and Yellamma played by Siddhanth Sundar. Drawing from numerous Yellammanaatas that she had witnessed in Mudbi, her native town. She used her knowledge of Bidari Kannada to devise and compose songs, while attempting to depict the entire six-hour play in under 30 minutes. She resumed research on the Goddess in 2016 and since has collected a substantial number o fsongs and stories surrounding this epic. Yellammanaata characters in the play ‘Land of Ashes, 2015. This perfroamnce is where the work of Urban Folk Project began. The play led to the unpacking of what Yellamma means to communities in Karnataka. Image Courtesy Adithya Kothakota 2015. A ‘jogathi’ plays Yellamma, 2015. This image is perhaps one of the earliest ones taken in the imagination of this project. Image Courtesy Adithya Kothakota 2015. ‘The’ chowdki player Radhaa Bai, 2017. 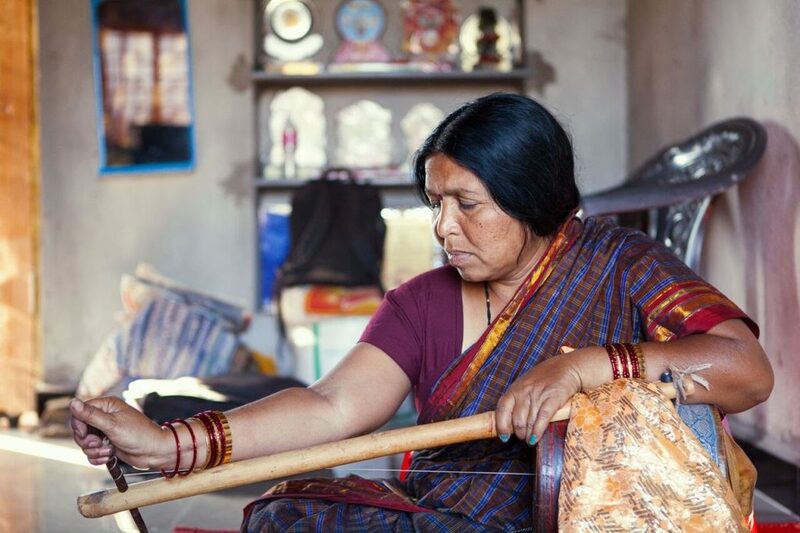 Radha Bai Madaar, one of the mentors to the Urban Folk Project speaks about her songs. Image Courtesy Adithya Kothakota 2017. The overnight ritual performance has been condensed to under an hour, part of which was performed in Bangalore earlier this year. Image Courtesy Adithya Kothakota 2017. In the city of Meeraj looking for instruments, 2017. 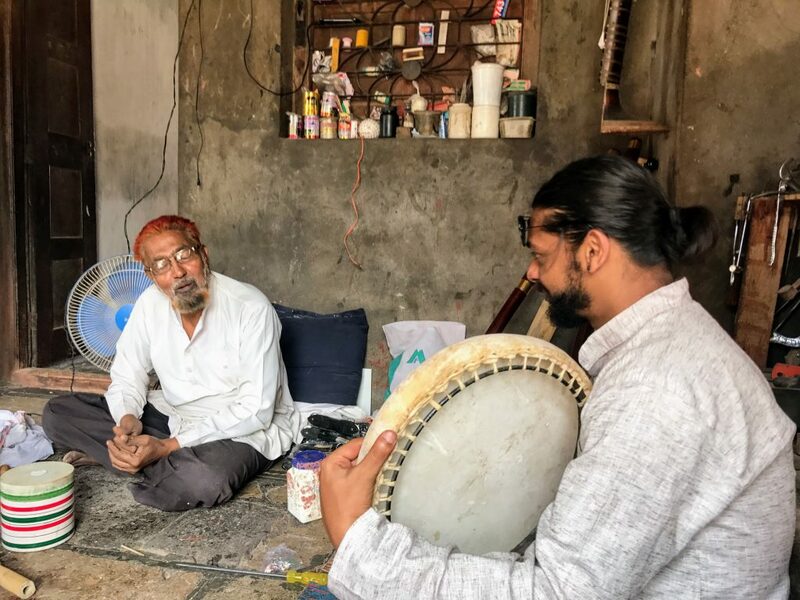 A field visit to this town in Maharashtra revealed a street full of makers of varied instruments both classical and folk. Image Courtesy Adithya Kothakota, 2017. Parasurama is part of Hindu Mythology and is said to be an avatar of the god Vishnu. He is depicted wielding an axe. He is a sage and a teacher of martial arts.